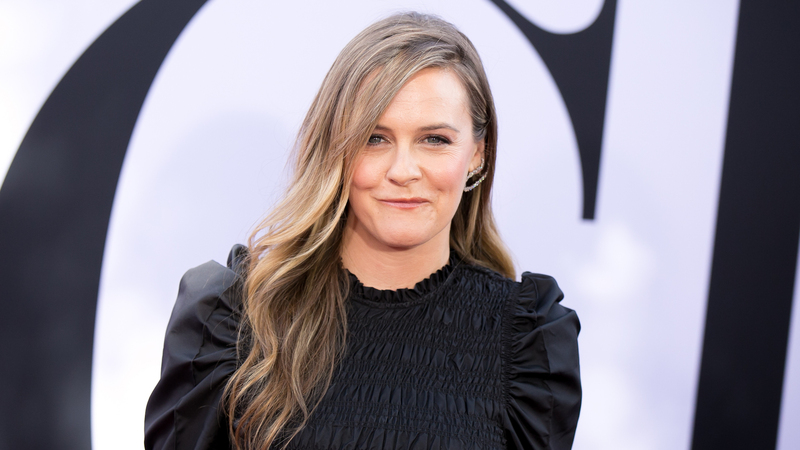 Alicia Silverstone hasn't been shy about sharing some of the, uh, unconventional ways she approaches parenting her 7-year-old son, Bear. The internet (and yours truly) collectively freaked out when she told Stephen Colbert Bear's attempt to French kiss her was "sweet" (don't worry — she kept her mouth closed). Then there's her controversial anti-vaxxing views… oh, and the matter of pre-chewing Bear's food before feeding him and sharing a video with the world. But we can rest assured about one thing — according to Silverstone, Bear has never gotten sick or needed to take medicine. And she says the family's vegan diet is to thank for Bear's seven year's of near-perfect health. We ate avos this big everyday at Laura's house. #Avocados taste so different in Hawaii, crazy yum! "He’s never had to take medicine in his life," Silverstone told Page Six on Thursday at Good Housekeeping’s #RaiseTheGreenBar sustainability summit. "He can get sniffles and a runny nose but he’s not down, he still goes to school. Two times in his life has he been like 'Mommy I don’t feel good,' and it was only for a few hours and he was back running around." Wow. Raise your hand if you're jealous Silverstone has never spent the night awake with a sick child. Feeding a young child a vegan diet has been a source of controversy, but Silverstone insists Bear is all about that vegan life. "[Bear] loves the food I give him," she told People in 2014. "He’s not being deprived of anything. For him, having amazing fruit is like candy!" As the old adage goes, "an apple a day keeps the doctor away." And it seems like Bear is a happy, healthy kid — and that's something to smile about even if we not-so-secretly suspect it has nothing to do with veganism.